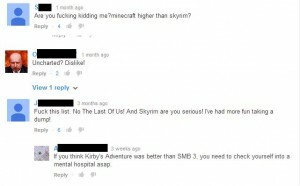 Each gamer has his own list of “all-time best video games“. Entire fandom’s build over games and these take to Youtube to engage on full blown flame wars over which games are the best. Gamers do this is because certain games makes them nostalgic. Video Games are a very powerful entertainment medium. Unlike films, games require a control input making them more engaging. The very best games go one step further by having the payer put some emotional attachment into the game, be it by a sense of victory, loss or betrayal. What makes a video game into a timeless piece of entertainment is a combination of several factors. The storyline of a video game is critical. With the exception of sports games, a video game should have a compelling storyline. This will draw in the audience from beginning to the end. The mechanics of a game are equally important. Simple mechanics will make the game too easy to play and make it boring while very complex mechanics will make a game burdensome and irritating. Mechanics need to strike a balance between being intuitive and challenging at the same time. Gamers differ widely about the level of complexity to make a fun game, God of War fans like complex combinations of buttons for powerful attacks, whilst CoD fans don’t like complexity as they need to react very quickly in order to shoot their enemies. Truly exceptional games are accompanied by exceptional soundtracks which set the mood for the given surrounding or point in the game. Some games are made by their soundtrack, as is the case of Journey and Shadow Of The Colossus. Graphics are a controversial topic. Recent video game releases have focused more on visuals and less on storyline which has garnered a lot of friction between fans and development studios. When looking at visuals to rate a game, it is important to factor the year the game is released in. You cannot compare the visuals of two games that are a decade apart. The most important of all traits is that a game has to be entertaining. I have yet to meet a gamer who buys games for educational purposes. Considering all the factors that make a game a truly great game, here are the top three best games in history. These three Games are my personal choices, and are subjective. Metal Gear Solid: Tactical Espionage Action (1998) released for the Sony Playstation. Developed by Konami. This revolutionary game has the player sneak around armed guards as opposed to a direct firefight engagement. Its predecessor, Metal Gear, set the precedent in the video game industry for its novel approach, spawning the first ever tactical stealth game. When playing Metal Gear games, the player has to think and plan his advance so as not to alert the guards, who will shoot if they see you or become suspicious should they hear your footsteps. I remember back as a kid I would get scared when I got discovered and the “alert status” forced me to hide under some ship container or air vent. The addition of three dimensional gameplay was a stunning technological advancement, and a great addition to the Metal Gear franchise. 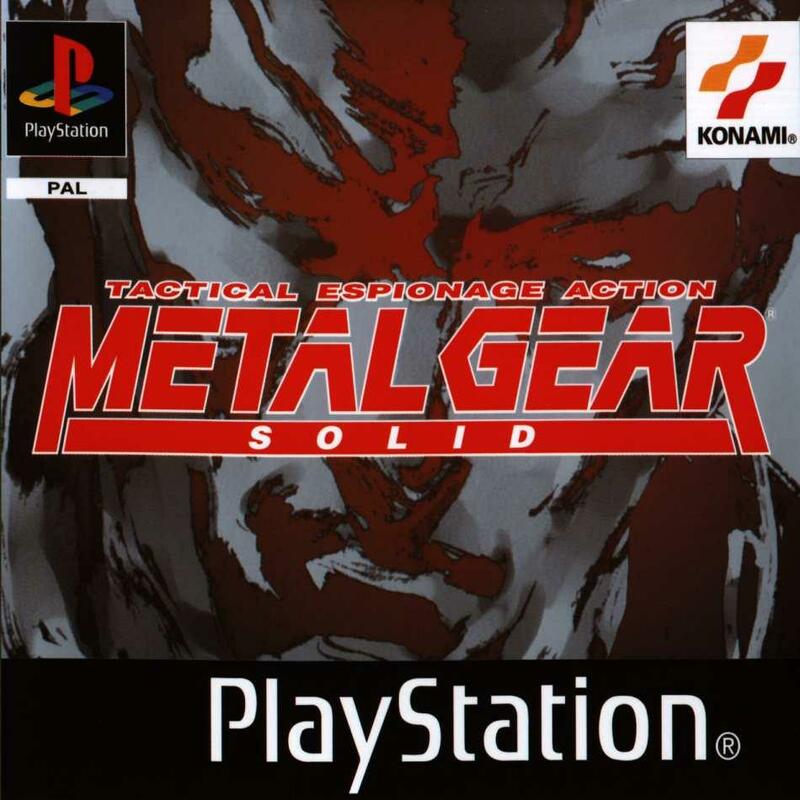 Thanks to the new and powerful playstation, Konami was able to use polygons and pre-rendered backgrounds to give the game an overall immersive three dimensional experience, hence the addition of “solid” in the title. Another ground breaking feature to the franchise was the implementation of vocal narration (as opposed to industry standard of text box narration), a technological feat for its day. 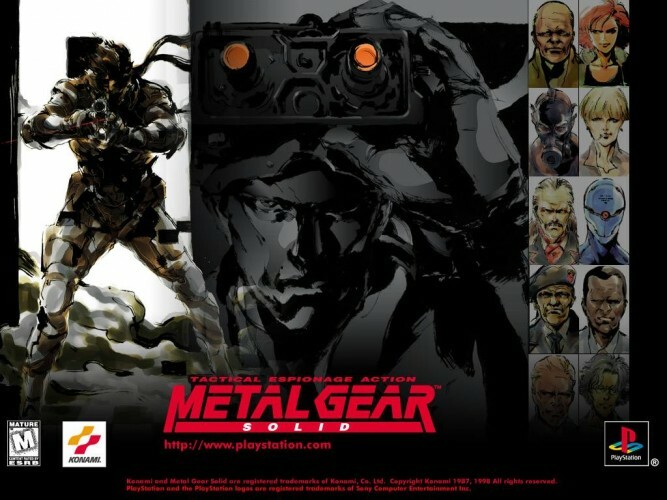 The intricate storyline and long cut scenes of Metal Gear; both trademarks of Metal Gear’s director Hideo Kojima, make the game all the more engaging. It was Kojima’s steadfast stubbornness that enabled him to direct one of history’s best video game sagas. Personally, I believe MGS1 is the best of the Metal Gear games due to all the groundbreaking achievements for its day, making it number three on my list of best games in history. The only drawback that I can think of its the convoluted plot which left many gamers puzzled. Final Fantasy: VII (1997) released for the Sony Playstation. Available on the Playstation Network and Steam. Squaresoft. 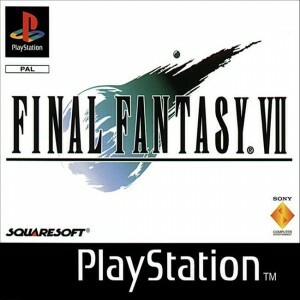 Final Fantasy VII (FF7) is a legendary title amongst RPG fans, and for good reason. FF7 is part of a long running franchise of critically acclaimed games, each Final Fantasy installment is set on its own fictional universe, each with its own storyline and its own protagonists. What is common to all Final Fantasy titles are monsters, the turn-based battle system and the beloved chocobo. Aside from that, there little else tying in in the different titles. Previous entries in the Final Fantasy series are set in a medieval setting. 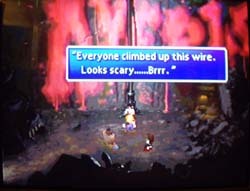 However, FF7 breaks away from the mold. It’s set in a “modern” post-industrial civilisation which is rapidly deteriorating due to the dwindling natural resources. 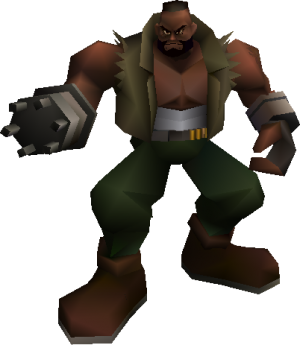 Final Fantasy VII is the first in the saga to have fully rendered three dimensional characters, albeit with the use of large polygons that gave characters a boxy appearance. Regardless, it’s an laudable advancement from the 2D sprites that made up the characters in previous entries. The gameplay is Final Fantasy standard, but what makes FF7 truly a masterpiece is its compelling storyline. The game deals with complex issues about life, such as grievance, vengeance and the sense of self. Not a single main character is spared from having a broken past and the flaws in the characters make them all the more credible. The main protagonist, Cloud, is possibly the most damaged of all the characters. His story takes him through an ill-fated series of events that leads him to question his very existence. The player is led to overcome and rise above these hardships in order to vanquish Cloud’s nemesis, Sephiroth. 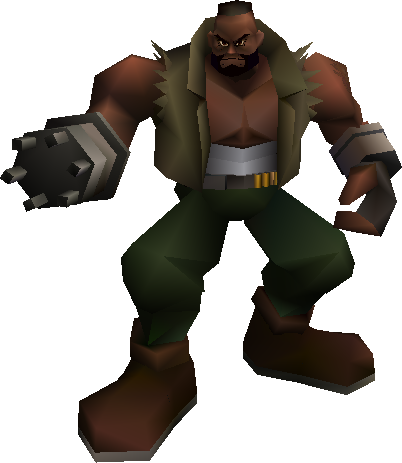 The technological scope Squaresoft had for Final Fantasy VII was immense, the developers had the daunting task to retain its open world character, which had come to characterise the series, whilst making the game three dimensional. Due to this, Squaresoft had to rely heavily on pre-rendered backgrounds, something which at times made it hard to distinguish background from relevant interactive features such as the wire in Sector 6. The games soundtrack was composed by the veteran Nobuo Uematsu. Despite the 16 bit limitations in older entries, Uematsu had always managed to create compelling musical scores which often garnered praise. To this day, Uematsu continues working on music for the series in between his busy schedule of video game musical concerts around the world. These events tend to sell out within hours. I am fortunate to have been able to attend the Final Fantasy concert in the Royal Albert Hall for two consecutive years. Uematsu’s pieces are even performed by the London Symphony Orchestra. Some of Uematsu’s work has been featured in a prominent UK classical radio station (Classic F.M’s Hall of Fame), after gamers hijacked the competition and spam voted for the Japanese composer. Ocarina of Time is one of those games that comes along only once per console generation. It’s captivating storyline pulls in the gamer from the start of the game through to the end. 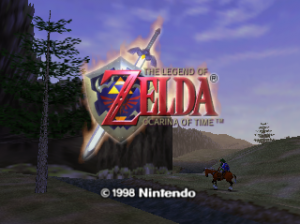 Whilst Ocarina Of Time was not the first title in the Legend of Zelda series, it was the first three dimensional Zelda game, which, for its time, was a breakthrough in video games. Unlike with Final Fantasy VII and Metal Gear Solid, Ocarina of Time mastered the use of polygon technology giving the characters a less block like appearance. Notwithstanding, the Ocarina of Time managed to retain the core essence of previous Zelda games: exploration, puzzles and combat. Exploring Hyrule can only be achieved by unlocking items that enable the user to remove or bypass obstacles to other parts of the map. The items also allow the option of undertaking side quests which, once completed, grant the player additional bonuses that enhance the character and thus making the game easier to play. The protagonist, Link, is a courageous mute boy. Since he is unable to talk, the players imagination to projects his own self onto Link, creating an attachment to the protagonist. Even the game’s only drawbacks and glitches (for its time), have been turned into features. Gamers around the world have used the glitches in Ocarina Of Time to attempt to complete the game in the shortest amount of time possible (this is known as speed running). The video below shows how “Cosmo”, a speed runner, complete the game in under 23 minutes. So there you have it, the top three video games in history. Did I miss a game? A Gaming Website For Gamers Is Now A TabooWhy Did Retro Games Get So Expensive?